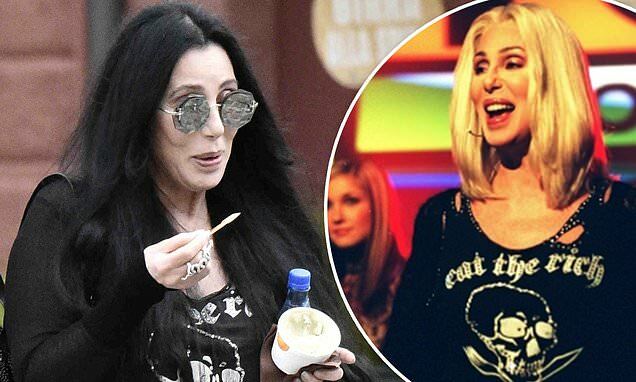 The legendary Cher was in a panic Wednesday when she realized her favorite black 'eat the rich' tank top was missing from her colossal walk-in closet. 'My T-shirt is gone!' the 72-year-old pop icon - who boasts 6.9M social media followers - tweeted. The Believe hitmaker was last pictured wearing the treasured top in an April 25 snap with her stylist Marjan Malakpour, who could probably get it remade. Indeed, fans uncovered pictures of Cher (born Cherilyn Sarkisian) wearing the irreverent article of clothing in 1985 as well as 2001 while performing on Top of the Pops.